As a Siesta Key real estate broker I can help you find your ideal vacation getaway or that fantastic investment property. 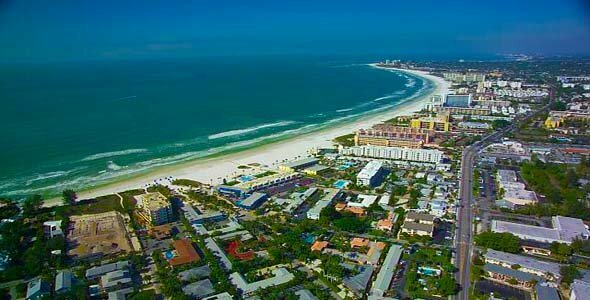 Here you can browse all the Siesta Key condos for sale currently listed in the Sarasota MLS. How accurate is the listing data on this site? 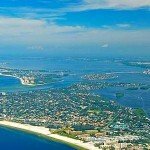 The MLS listings of Siesta Key condos displayed in the search results are downloaded hourly making them vastly more current that those found on Zillow, Realtor.com, and Trulia. 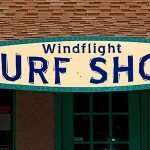 If it is in the Sarasota MLS, and it is currently listed for sale, you will find it on this site. Please note: This site is not for people who are looking for rentals. 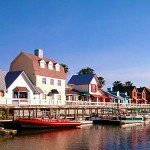 I do not represent any rental properties nor can I assist you in renting a Siesta Key condo. 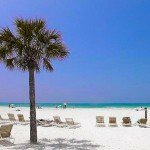 Please do not contact me if you are seeking a vacation rental, this site is only for those who are looking for the best information and the most current listings for Siesta Key condos for sale. I highly encourage you to take advantage of the optional Property Finder account that allows you to save searches and create an automated search that will automatically send you an email notification when a new property hits the market that meets your search criteria. You can also save your favorite properties to help you refine your list of possible choices. You can also receive notifications when your favorite properties have a price reduction. Using these complimentary services, you will never miss out on a hot condo that is priced to move again. I do not use Property Finder account information as a marketing tool, the functionality built into this website is available to make your search experience better and more efficient. You can un-subscribe to Property Finders searches at any time and there is no obligation or cost to use it. 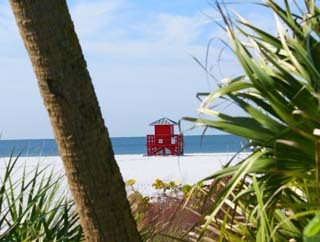 Located off the west coast of Sarasota, Florida is the 8-mile long barrier island of Siesta Key. Known worldwide for its sprawling white beach made of soft, clean sand, the island is a premier tourist destination and a great place to own a vacation or investment property that has the potential to literally pay for itself. Development is well established on this little island, with several luxury estates, single-family residential neighborhoods and beachfront condominiums interspersing and blending in with the natural Siesta Key landscape. 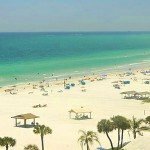 There are many options for the aspiring real estate buyer here on Siesta Key—a warm community and a picturesque backdrop are only some of the factors that make living on this island a rewarding experience. 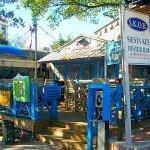 The eclectic and small “downtown” area of Siesta Key Village offers a wide variety of restaurants, souvenir shops, cafes, bars and art galleries that one can stroll through leisurely. Unique hideaways and colorful local boutiques pop up at every corner, so be sure to leave no stone unturned! 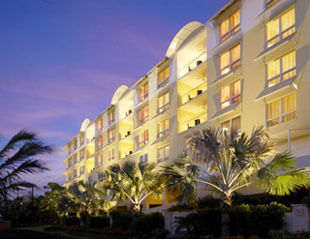 The northern half of Siesta Key is part of the city of Sarasota, considered the cultural and artistic hub in Florida. Home to artists, students and musicians, there is a wildly creative atmosphere in the air that one can almost taste. At the very beginning of the year, local art is celebrated in the downtown city streets during a community-wide Arts Day, while music lovers can look forward to the Opera and Jazz festivals held every March. Sarasota is also the site of the third largest wine auction in the country, as well as the annual Cine-world Film Festival, which showcases the best international films from the New York, Cannes, Toronto, and Telluride film festivals. Characterized by the crooning of wild parrots and pelicans, swaying palm trees and exotic flora and fauna, the Siesta Key atmosphere echoes that of a lush tropical paradise. 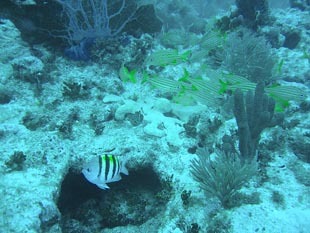 The island waters are home to more than 1,000 species of fish, making it an ideal environment for those who enjoy fishing, snorkeling and diving. This is a place where human life coincides perfectly with the natural environment, with unspoiled beaches and endless possibilities. 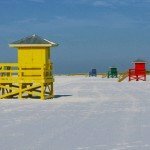 The winters in Siesta Key are warm and pleasant, with temperatures ranging from 71-77 degrees Farenheit or 22-25 degrees Celcius. There’s sunshine all year round, with the summer heat being cooled off by the sea breezes coming in from the coast. 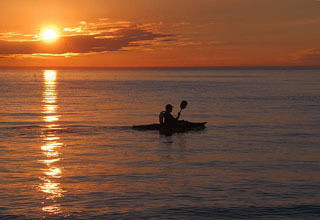 Many around the world have been captured by the natural beauty of Siesta Key. Here, the atmosphere is laid-back and relaxed, while a thriving community filled with cultural hubbub is but a stone’s throw away. Condos for sale on this lovely island provide residents with some of the most breathtaking views of one of the world’s best beaches, where one is surrounded by nothing but the sky, crystal white sand and the azure sea. Having the convenience of being able to get away from it all in a comfortable place of your own is definitely worth it, is it not? Whether it’s a community pier linking you to the bay, a resort-style condominium with swimming pools at your disposal, or a residence a few steps away from the pristine white beach, there’s a Siesta Key Condo for sale for taste and budget. 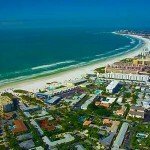 Come explore all the Siesta Key condos for sale listed in the Sarasota MLS and discover why more than 20,000 winter-time residents flock to this island to hibernate and enjoy Floridas mild winters!